Tickets are free if booked before hand; so, if you’d like tickets, please do call or email us. As mentioned else, Geof Nightingale, the developer of Forecast 5 will be on hand as will Johnny & Juliet Kipps to demonstrate the features and benefits of Forecast 5; we’d love to see you there. 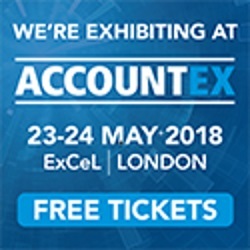 From our previous experience at Accountex we know that its an incredibly busy time; we start demonstrating at 10am and it goes on, non-stop until they sweep the bottletops out of the hall. So, if you intend visiting, wish to meet and don’t want to hang around in the queue, please call or email ahead to book an appointment for a specified time – we’ll keep careful note and look forward to meeting you.